The answer is that most Homeowner and Renter policies, including those offered by Western National Insurance, do provide coverage for a stolen bicycle—with some limitations and exclusions. If no limitations or exclusions apply, it is important to remember that unless you have the Replacement Cost endorsement on your policy, the most you can recover for the stolen bike is its Actual Cash Value. Actual Cash Value is based on the market value of the bike considering its age and condition at the time of the theft. The policy deductible will apply whether the bicycle is valued at Actual Cash Value or Replacement Cost. Your insurance company may provide options to enhance your coverage for theft of a bicycle by scheduling the bicycle on a personal articles policy. This could have the added benefit of a loss payment without the application of the policy deductible. Talk to your Independent Insurance Agent to discuss these options, and as always, for answers to questions on this or other insurance topics. 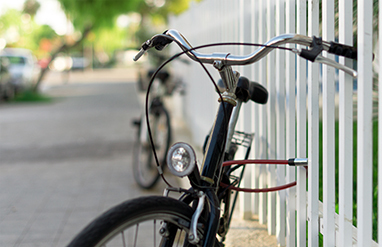 For tips on protecting your bike from theft, check out our earlier blog here.